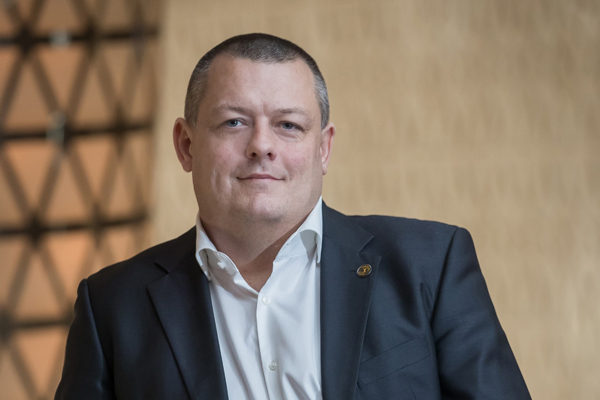 Continental, a leading German tyre and automotive technology company, has appointed Karel Kucera to lead its Middle East and Africa operations as the new managing director. A Continental veteran of almost 20 years, Kucera took on the new role this month and will be based in the company’s regional office in Dubai, UAE, overseeing more than 19 markets across the region, said a statement. A citizen of the Czech Republic, Kucera, 42, is a true Continental expert as he joined company straight from university upon completing his MBA in Management from the Tomas Bata University in Zlín, Czech. Other than his mother tongue, Kucera speaks three languages including English, German and Slovakian. The announcement comes following the recent opening of the company’s first office in Saudi Arabia to support the growing demand for Continental’s products and services in the kingdom, it said. In his new role, Kucera will also lead the recently unveiled expansion plans for Continental that include the first-of-its-kind warehouse in the region, located in Jebel Ali, Dubai. The facility will act as a hub, connecting plants in Europe, North America and South America with the brand’s distribution partners in the Middle East, it added. “His experience is second to none. The region has proven to be a key market for our company since the establishment of the brand’s regional representation office in 2009. There is a great deal of potential in the Middle East and many opportunities for Karel to capitalise on and add to his previous achievements,” he added. Prior to his new Middle East role, Kucera served as the regional managing director of ContiTrade Central & East, Northwest Europe, located in the company’s headquarters in the Czech Republic. During his time at Continental, Kucera has held several positions within the sales and marketing divisions, across both the passenger and light truck tyres (PLT) and commercial vehicles tyres (CVT) business units. “We have a strong team and highly-qualified local partners in place with whom I look forward to working closely to further grow the Continental business in the region and promote what the company has to offer from premium tyres and mobility solutions,” he added. The newly appointed managing director of Continental Middle East has replaced Jose-Luis De La Fuente, who will take on the role of managing director, Continental Mexico.